Asus UX21 vs. Macbook Air 11-inch 2011 : PC vs. Mac Ultra-Thin Laptop Battle! These two are undeniably the thinnest laptops in the world today. 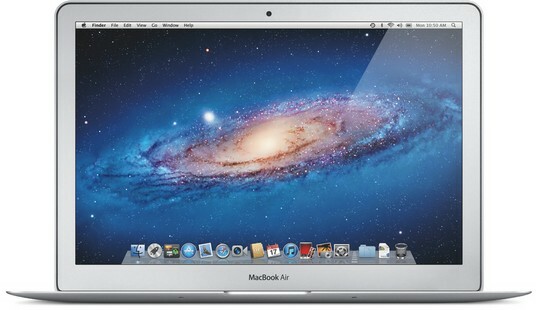 and Macbook Air 2011 11-inch. And when you have two notebooks that look almost alike (and will probably have similar price tags), naturally, people would ask, "Which of the two is better? Which one to get?" Both Macbook Air and Asus UX21 flaunt a unibody aluminum case. This means that their bodies are crafted from a singular block of aluminum. However, Asus UX21's shell comes with a slightly more glossy, brushed metal look compared to Macbook Air's matte finish. As for they keyboard, Asus UX21 features metal keys (yes, real metal) vs. Macbook Air's plastic black keys. The opposite goes for the frame around their screens; Asus UX21's is black while Macbook Air's display frame is metallic. Although both notebooks have the same 11.6-inch screen size and 17 millimeters thickness, Macbook Air is ever slightly lighter at 2.38 lbs vs. 2.4 lbs for Asus UX21 (perhaps because of the metal keys). So which laptop flaunts a better design? As they say, beauty is in the eyes of the beholder. 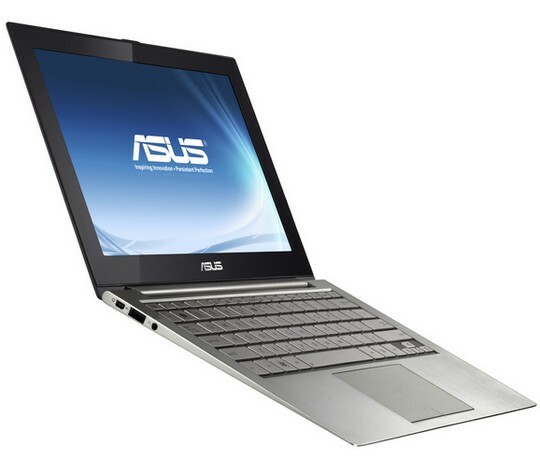 Asus UX21 looks a tad shinier but there's also something attractive about Macbook Air's restrained, minimalistic look. For me, this department belongs to Asus UX21 if only because it has more built-in ports. Asus UX21 is powered by a 1.7 GHz Intel Core i5-2557M processor and there's even a variant that's comes with a Core i7 chip. The notebook, which comes in 64GB and 128GB versions and 2GB and 4GB DDR3 RAM options, has two USB 3.0 ports, mini-Display Port and a mini-HDMI port. On the other hand, Macbook Air 11-inch, which also comes in 64GB and 128GB versions and Core i5 and Core i7 powered variants, features only two USB 2.0 ports, and a Thunderbolt port. Like Asus UX21 Macbook Air also comes with 2G and 4GB DDR3 RAM options. Well, this department warrants a lengthy Windows 7 vs. Mac OS X Lion discussion. Which operating system is better? Really, it depends on the individual user. For me, Mac OS X looks really sleek and refined and it has a lot of features that can make you go WOW but there's just more things you can do with Windows simply because there are more software made specifically for it. TP Verdict: Asus UX21 vs. Macbook Air 2011 11-inch?! Call me corny but for me, it's a tie. But how about you? Which of these two ultra-thin notebooks do you prefer?